Have you ever considered the impact that a corporate wellness challenge could make on your business? Are you interested in making your office a healthy and fun place to work? Wondering how a wellness challenge can motivate and energize your employees while also possibly reducing health insurance costs to your organization? If you are like many business owners, the health of your employees is important to you. Not only do healthy and fitness-minded employees get more done during the day, but they also help you reduce your costs as an employer. Statistics provided by the U.S. Department of Health and Human Services show that companies who promote health and wellness amongst employees experience myriad benefits, so the question is how do you get your employees on the same page and committed to their health? 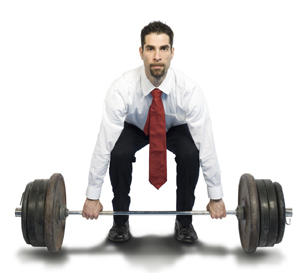 The answer is simple: Implement a workplace wellness challenge. Let’s face it, the majority of employers and workers spend a lot of time in the workplace and both groups of people regularly feel the stress of trying to fit in time to maintain their health and stay fit. Workplace and corporate culture, though, play an important role in most people’s lives, therefore a synchronized effort to engage employees in a wellness challenge and promote healthy lifestyles are oftentimes well received. To learn more about instituting a corporate wellness program at your office, simply complete the form to the right for a free quote. There’s no denying that fitness is on the minds of the majority of people nowadays, and health and wellness are always easier to manage when it becomes a concerted effort between co-workers via a workplace wellness challenge. Corporate wellness programs are a fun and exciting way for employers and employees to be committed to healthy lifestyle choices and have renewed energy about coming to work every morning. Take the next step now and learn about how a wellness challenge at your office can make your employees more motivated, energized and happy about the job they do each and every day. Complete the form to the right to get a free quote for implementing a corporate wellness challenge today.